Northgate Hills luxury apartments provide you with your own private oasis in the heart of Austin, Texas. Our newly-renovated pet-friendly apartment homes include plank flooring, walk-in closets, and gourmet kitchens with upgraded cabinets. Select apartments have fireplaces and oversized balconies and patios. 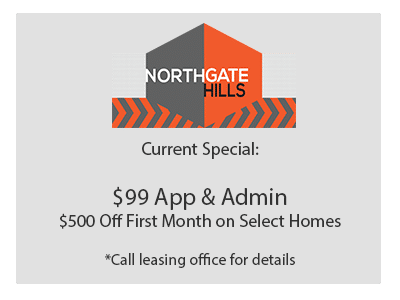 Northgate Hills provides a beautiful community, complete with two resort-style swimming pools, a children’s playground, a business center, and a fitness center. Enjoy our park-like setting with professional landscaping. Your satisfaction is our priority at Northgate Hills. Our gated community offers covered parking, package receiving, a resident service center, and 24-hour emergency maintenance. Northgate Hills is convenient to major highways and employers, as well as North Ridge Austin Community College. Schedule a tour today and start enjoying luxury apartment living in Austin.